Making changes to the boot settings and handling hard disk partitions is a huge task, meant for more experienced hands. Plus it cannot be done without the aid of an efficient software that can handle the sensitive part of the operation which can damage the system if care is not taken. This utility enables you to create and resize partitions, manage the boot options, and create and restore compressed backups of your partitions. The application grants you the ability to convert MBR or EMBR disk type to GPT and vice-versa. The utility can also allow you to decide from which partition you want to boot, irrespective of the number of hard drives plugged into your PC. 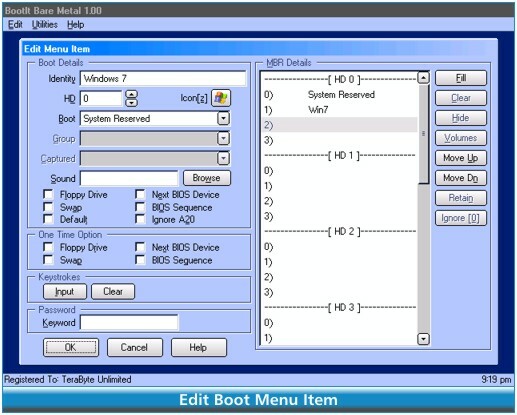 Using the boot management features, you can easily control the installed operating systems and their boot process, and the tool disk imaging function allows you to create system backups and data recovery. In conclusion, this utility is one of the most powerful and efficient partitions and boot management software which can possibly run on all PCs. 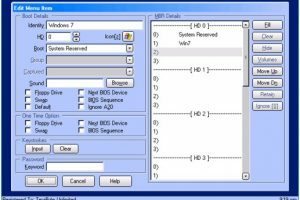 It is part from boot manager/disk category and is licensed as shareware for Windows 32-bit and 64-bit platform and can be used as a free trial until the trial period will end. The BootIt Bare Metal demo is available to all software users as a free download with potential restrictions compared with the full version. Make bootable USB to install ..
Dual boot Windows and Linux ..